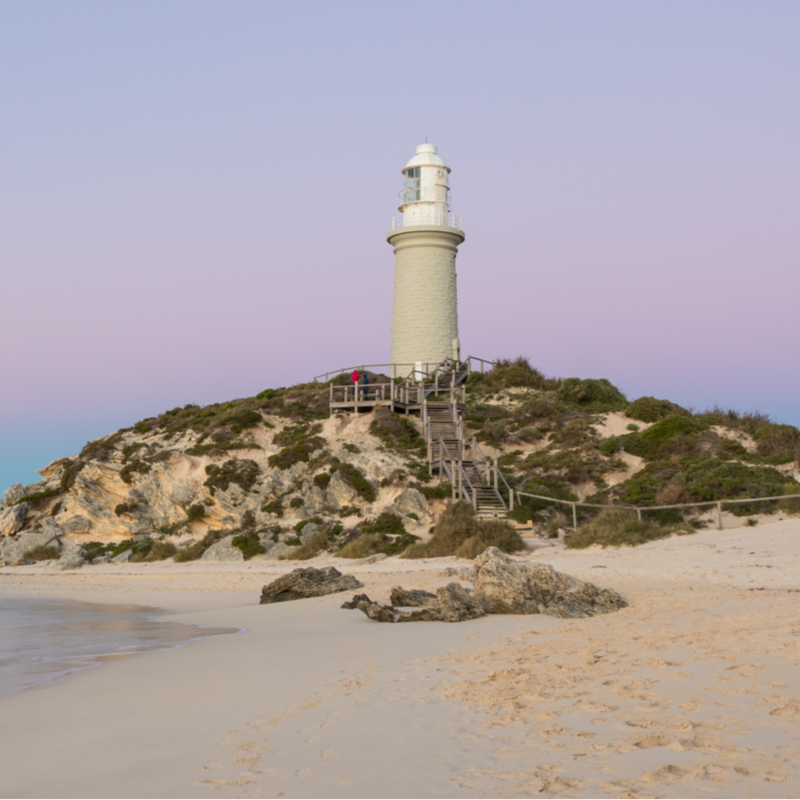 We could pull out the thesaurus and try to explain the beauty of Rotto – as the locals call it – but we think it is better you come and experience it for yourself. 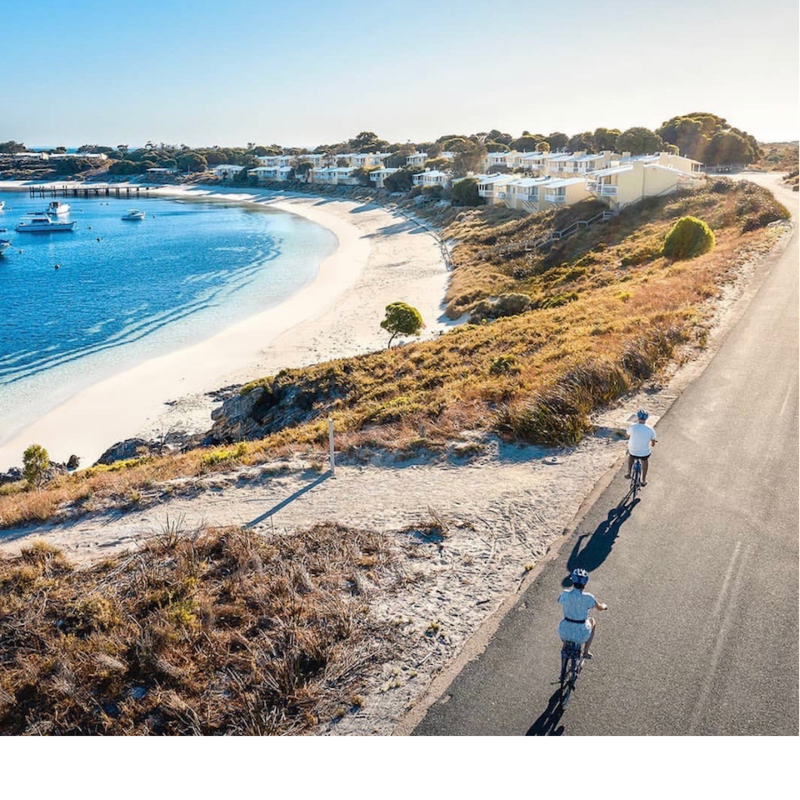 One of the easiest and most efficient ways to maximise your time at Rottnest Island is to hire a bike from Pedal and Flipper and cycle your way around. Cycling alongside the turquoise hues of the Indian Ocean and accessing the beautiful beaches and coves will be one of the fondest memories you will take back home with you. Rottnest Island is home to 63 beaches and 20 bays so we understand it can be very overwhelming when figuring out the best route to tackle. Our favourite beaches are along the top including The Basin, Geordie Bay and Parakeet Bay. The southern route is equally as beautiful, boasting Parker Point, Salmon Bay and Strickland Bay. 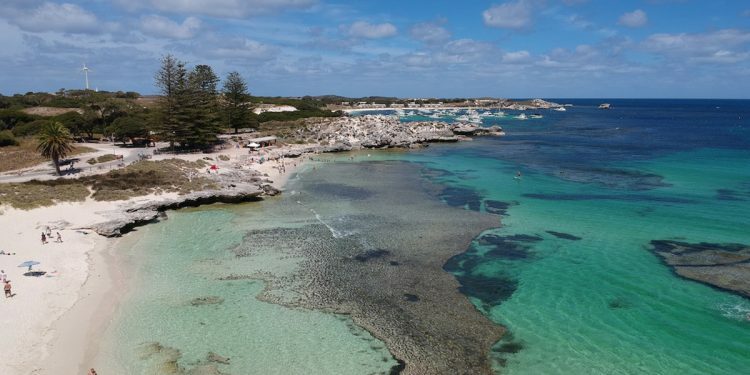 After taking in the canvas of blue, dive in and explore under the sea as Rottnest Island is home to array of sea life, colourful coral and limestone reef. 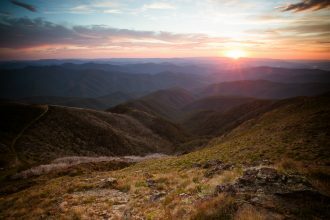 Don’t be disheartened about running out of time – a reason to visit again! The quokka also known as the “world’s happiest animal” is a small short tailed marsupial native to Western Australia. The island was named “rat’s nest” after Dutch explorers observed thousands of the animals living there. In recent years, the quokka selfie has gained popularity, especially after Roger Federer snapped a picture with one. As long as you don’t touch them or feed them your jam donut, the smiling face of the quokka will happily take centre stage in your selfie. If there was only ever one reason for anyone to go skydiving, then let this be it – the view. Skydiving is the ultimate birds’ eye view and the thrill of soaring towards a blanket of turquoise water, where the reef sprawls out beneath the surface and where the grassy hills roll along the shoreline is unlike any other experience. 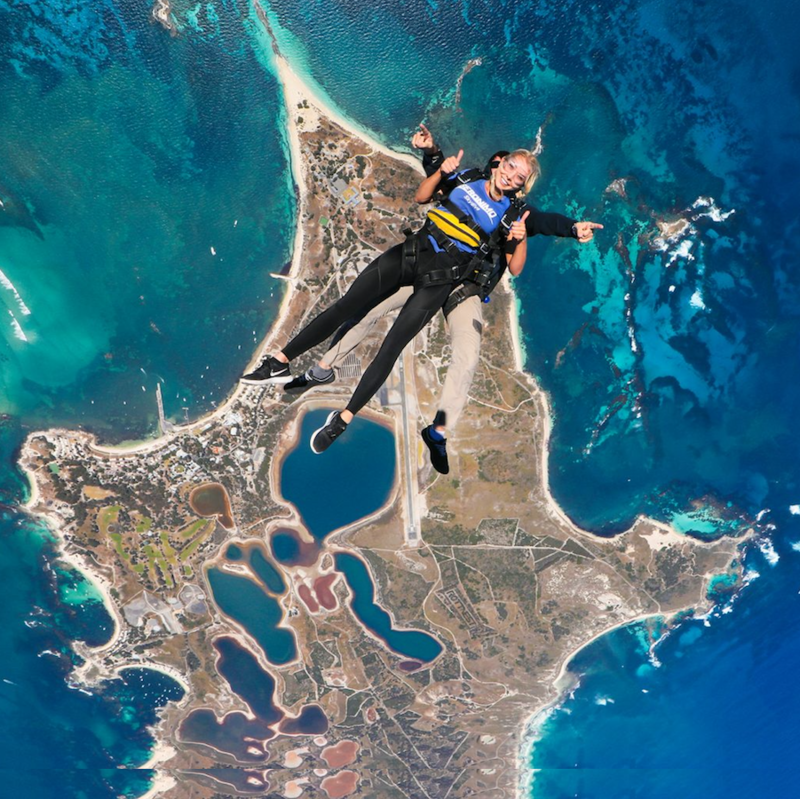 Thankfully, the team at Skydive Geronimo have set up base on Rottnest Island and are letting visitors explore the island from 15 000 ft. above the shore. A unique but equally beautiful way to appreciate the natural beauty of the island. 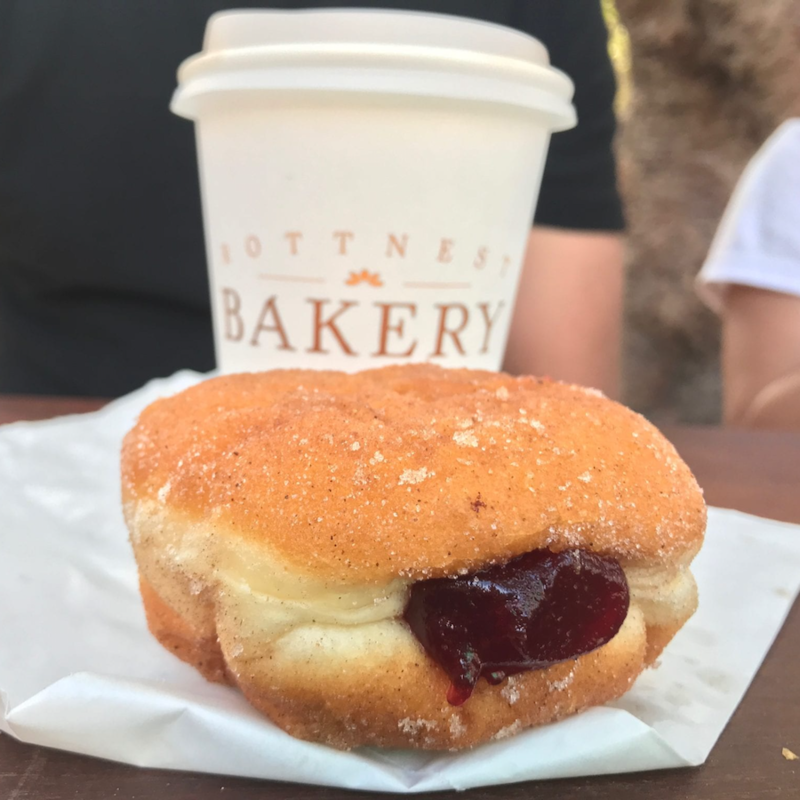 Rottnest Island is almost as famous for its beaches and quokkas as it is for the warm jam donuts served up at the Rottnest Island Bakery. 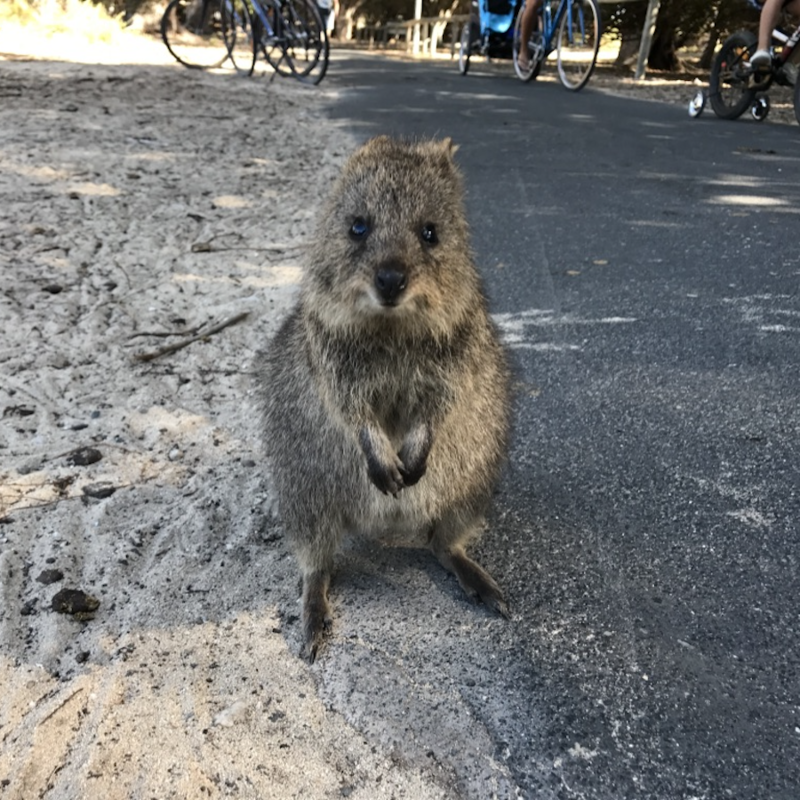 Located in the Thomson Bay settlement, the bakery is a buzzing hotspot in the early morning and late afternoon for both visitors and the local quokkas. The wild flour bread, meat pies, sandwiches and gourmet rolls are a few of the popular items available which are baked fresh daily. It is hard to think of a better way to end your day than to indulge in a fresh donut with jam oozing from its centre. 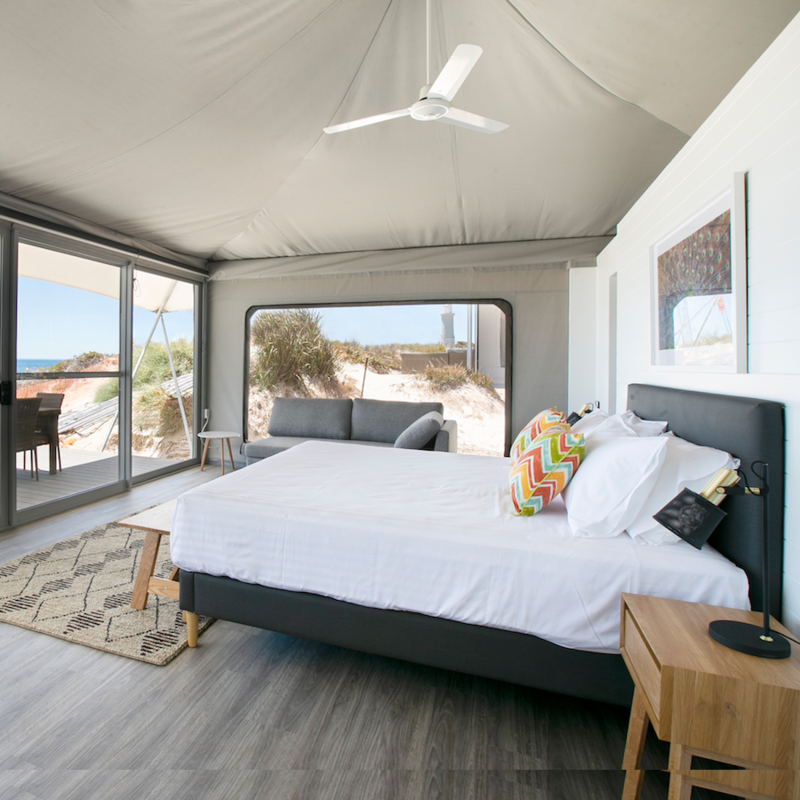 Say goodbye to the days of hammering tent pegs into the sand as Discovery Rottnest Island have thankfully built 83 fully furnished eco glamping tents right on Pinky Beach. 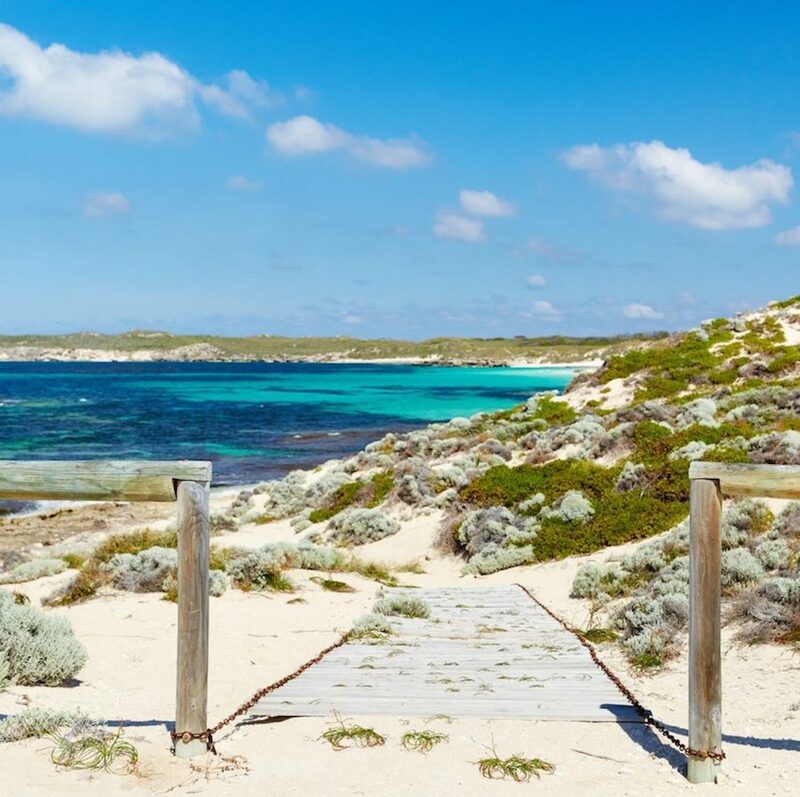 From the beginning of March, visitors to Rottnest Island will have the opportunity to stay in the luxury tents with premium access to Pinky’s Beach Club. Here at Hunter and Bligh there are few things which compare to the calm of stargazing over the beach with a wine in hand. Little known to visitors of Rottnest Island is its rich historical roots, especially in relation to Aboriginal people. From 1838 to 1904, over 4000 Aboriginals were imprisoned on Rottnest Island. Their sentencing ranged from minor offences to conflict over land with colonialists. On the island, the prisoners did manual labour work and constructed a number of the buildings in Thomson Bay including the Seawall, Quod, cottages, museum, lighthouses and churches. 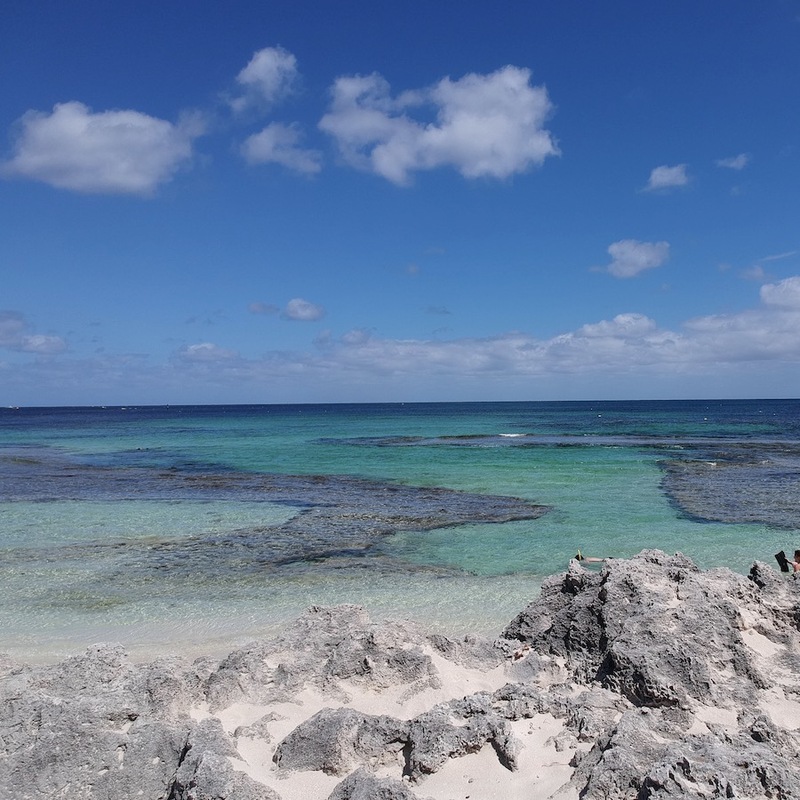 The Rottnest Voluntary Guides Association conducts free daily walking tours which delve into the history of the island being a prison as well as discussing the significance of the island during the war. Hotel Rottnest is the best place to unwind with a glass of West Australian wine in your hand. 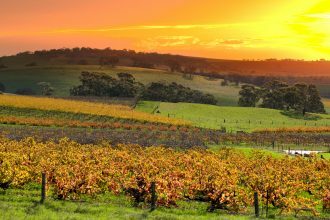 The wine list includes Margaret River based Sandalford wines and Frankland River native Alkoomi wines. 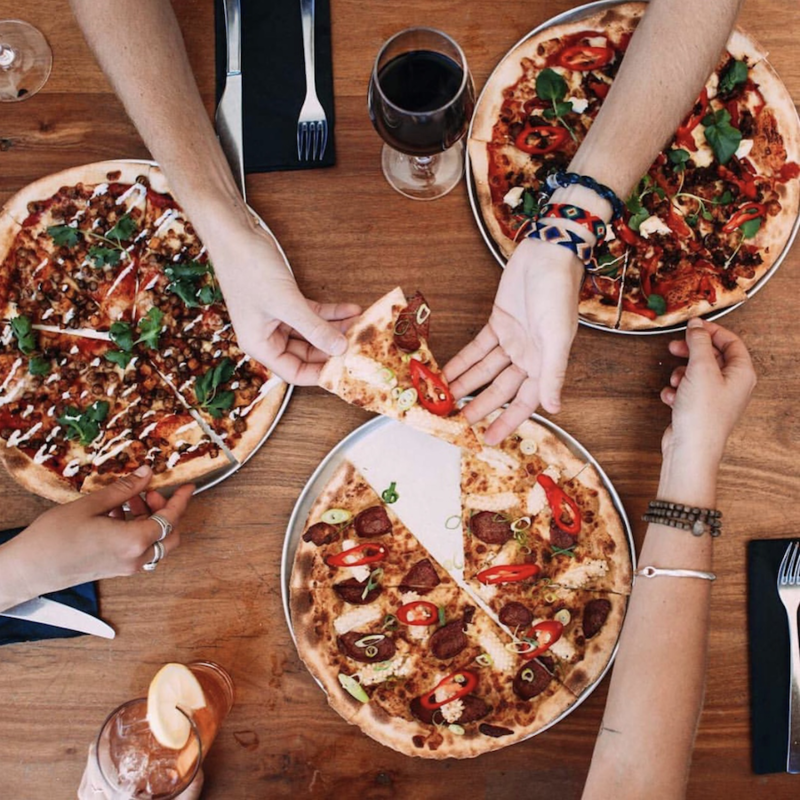 The menu incorporates an array of local and sustainable produce creating crowd favourites including pizza, seafood, crayfish and burgers. To top the experience off, Hotel Rottnest has an alfresco dining area located on the ocean’s edge, so you can watch the sunset and happily cheers to a day well spent on Rottnest Island. The team at Rottnest Cruises have launched their new exciting venture: a sea-to-plate dining experience for visitors to Rottnest Island to enjoy. 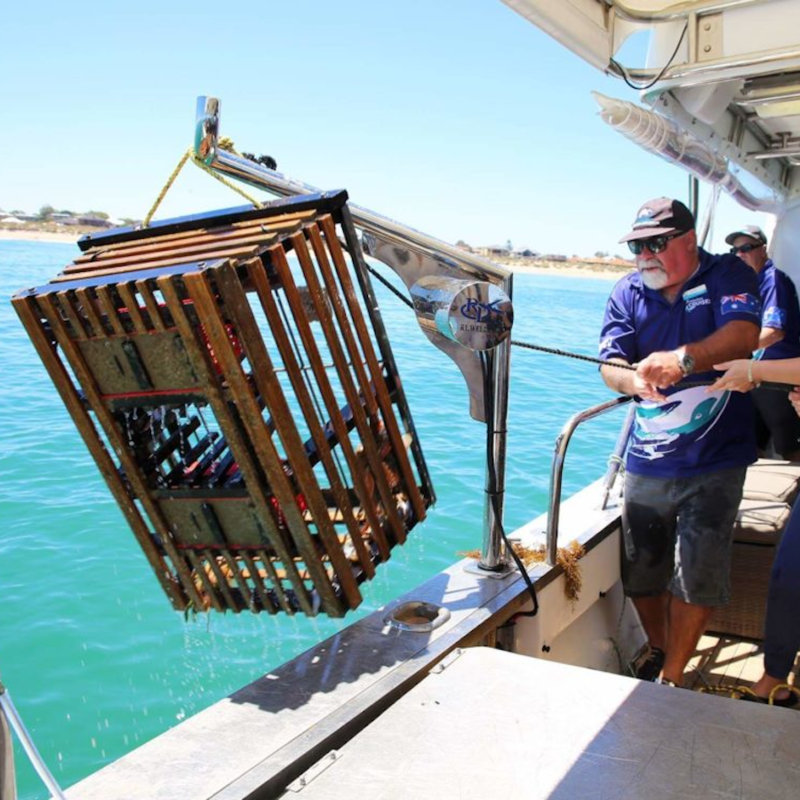 The Wild Seafood Experience tour allows those on board the luxury charter boat to catch their own Western Rock Lobster, cook it up and indulge in a three-course seafood banquet. Think 3 hours of lobster, freshly shucked oysters, crab, salmon and seafood skewers. Cruising along the pristine waters of Rottnest Island is one thing but eating fresh seafood whilst doing so is next level. Strickland Bay – or Stricko’s – is located on the western end of Rottnest Island. Experienced surfers will froth this location not only because it is ranked one of the top 50 breaks in the world but because it consistently produces clean waves. Although popular, the surf isn’t for the faint hearted as the waves tend to break over the shallow coral reef. Luckily you will not have to battle with the local surfers – Strickland Bay is yours to enjoy!